Luminous Dark is, perhaps, the best Christian book that I have read this year. Finding a book that deals with the ‘painful journey of being transformed by the love of God through suffering’ is quite difficult. We live in a Christian culture that looks too much on the side of triumphalism, than at those deep places brought about by various forms of suffering, however that pain thrusts itself upon us. Muddy Pearl originators some excellent titles, and this book is one of them. One of the reviewers has said that it could be easily a ‘Christian book which should become a classic’. I wholeheartedly agree. I am very impressed with this title. It deals with Christianity in such a way, that it is open to everyone. Finding that God works right through to the very end of life is a remarkable conclusion. It speaks right into my soul. Do read it. 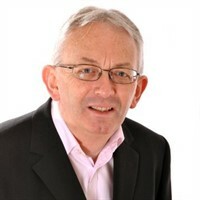 Alain Emerson is the Irish Director of 24/7 Prayer and is a lead pastor at Emmanuel Church, a thriving young church in Lurgan, Northern Ireland. He is now married to Rachel and they have two daughters, Annie and Erin. Luminous Dark was written 10 years after the author’s first wife died from brain cancer. Lindsay was 23, Alain 27. They had only been married for just 2 years. ‘She was gone and I still had so much love left to give her’. There are 10 chapters in the book plus Alain’s acknowledgements. There is foreword by Peter Greg, founder of 24/7 Prayer, and a good friend to Alain. There are seven recommendations at the front, all of which are very positive towards the book – and rightly so. They speak of the ‘journey of suffering and grief’, of how Alain walked through the ‘shadow of the valley of death’. They speak of him on a ‘tough, dark road’, and the book comes across as a ‘sweet song of catharsis from a shattered soul’. This book is Alain ‘dealing upfront’ with his thoughts and theology following this serious tragedy. It’s a hard book to read; there are so many questions about God. Many of which are not resolved. Yet, as the book continues, there is the sense that Alain begins to understand what God was doing in this terrible situation. Does he fully understand it? Emphatically not. Has Alain come to grips with it? Yes – I think he probably has. Certainly his faith is far stronger for it. Where all of his questions answered? No – they most certainly were not! I actually found reading all 10 chapters quite challenging. Usually, one easily manages most books in a couple of days, but with this book I was reading it for much longer. I had to re-read chapter after chapter to try and fully understand all that Alain was saying to me through it. It became that personal. ‘I was disappointed by the lack of lament in much of contemporary Christian music and literature and observed a disproportionate focus on triumphalism and victory. Suffering, tribulation and doubt didn’t seem to sell albums. Thankfully I came to realise, this is not the case in the Bible’. Throughout the book, the author uses the book of Psalms to guide his thinking through his own suffering. It’s interesting that he uses many of the Psalms that most of us would steer away from! Yet here, they become extremely valuable. This was a great lesson to me, to recognise that much of the Bible is often faraway from our own view of cultural Christianity in the Western world. Psalms is a Jewish and Hebraic book, and we should understand it in that way. I love the chapters on ‘Silence’ and ‘Paradox’. These spell out for me the mystery of Christianity. We cannot put God in a box. Yes, we must pray and we must believe that He answers. Does He always? Often not, it seems to me and yet in a strange way – yes, He really does. This is truly a paradox. ‘God didn’t cause this to happen, yet God was in control. God was suffering with me, yet God was my healer. God doesn’t heal everyone, but God is THE ultimate healer. God is light and yet he dwells in deep darkness’. Emerson reads broadly. He speaks about Richard Rohr throughout the book, and continually writes about C.S. Lewis in so many of the chapters. But he also reads outside of Christianity as well. This brings a certain insight to how the disappointments of his own faith are being worked through. I like this. We need to have other people speaking into our lives to help us fully understand all that God is trying to do with us. I had a stroke nearly 2 years ago, and this book leaves me with many questions about what had happened since. I continue to believe that God can heal me, and pray for that as a possibility but, as yet, little has happened. God is there, but sometimes He rests in the ‘darkness as His secret place’ without giving us any answers. And yet, inexplicitly, God continues to look after me in ways which are far beyond my understanding! Yes, God continues to care for me! ‘He might not give you an answer but He promises to give you Himself’. When young pastor and 24-7 Prayer leader Alain Emerson lost his twenty-three-year-old wife to cancer, his once firm faith seemed to crumble. In this profound exploration of loss, Alain retraces his journey through the stages of grief, choosing to lean into the pain and to face God with his disappointment. He emerges with a stronger and deeper faith, and a sense of having seen God’s face – the one who ultimately restores our joy. Eddie Olliffe has been a bookseller and distributor for the past 35 years. He is now Consulting Editor of Together Magazine, and blogs regularly on Christian Spirituality, UK Publishing and Bookselling matters.